A popular rapper who admitted to being worshiped by fans and once claimed to have ‘found God’ and professedly ‘hopped to Christianity’ has released a profanity-laced video claiming that he has fallen away from the faith. In 2012, during an interview with HardKnock TV, Hopsin stated that he had turned to God and wanted to follow a path of holiness. But he also commented on how he had been taken by the adoration of the youth as he performed on stage. He outlined that although he did not plan to perform Christian music, he wanted to help those that were lost find the pathway to happiness and success. His music, while proceeding to denounce drug use, immorality and other sins that entangle much of America’s youth, remained heavily laden with profanity and other explicit language. In February, Hopsin shared on Twitter that being in the limelight had adversely affected his faith. He states that he can’t believe the Bible anymore because of his conclusion that it was written by man. Hopsin screams at God that He can’t believe that He is real until He shows him the evidence, declaring that he is “done” with Christianity. 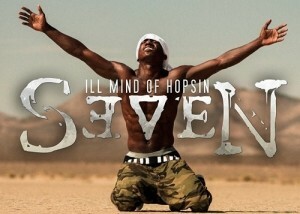 With over 27,000 YouTube comments over the new video, Ill Mind of Hopsin 7 has stirred significant controversy. “He just changed my whole perspective on God,” one commenter wrote. “Somebody tell me what has happened to him,” another lamented. But others state that they lovingly fear for Hopsin, noting that the enemy is seeking his soul.